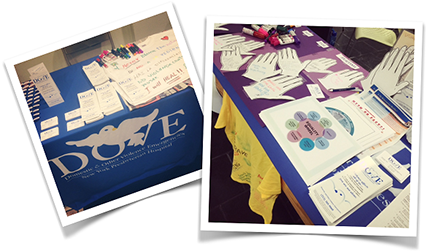 The DOVE Program is committed to build awareness and educate the public on the issues of family and intimate partner violence, sexual violence, childhood sexual abuse, and trauma. In addition to training volunteer advocates, our staff routinely conducts presentations and workshops at high schools, colleges, mental health agencies, programs for at-risk youth, and participates in information and tabling events across the metropolitan area. Responding to the needs of survivors of domestic and sexual violence presents with many challenges; survivors often need specialized clinical treatment, advocacy, financial support, housing, information and referrals to safely navigate the justice system. To learn more or to request a presentation or training, please call or email George Lewert, Program Manager, at 212-305-.5130 or gel9002@nyp.org.